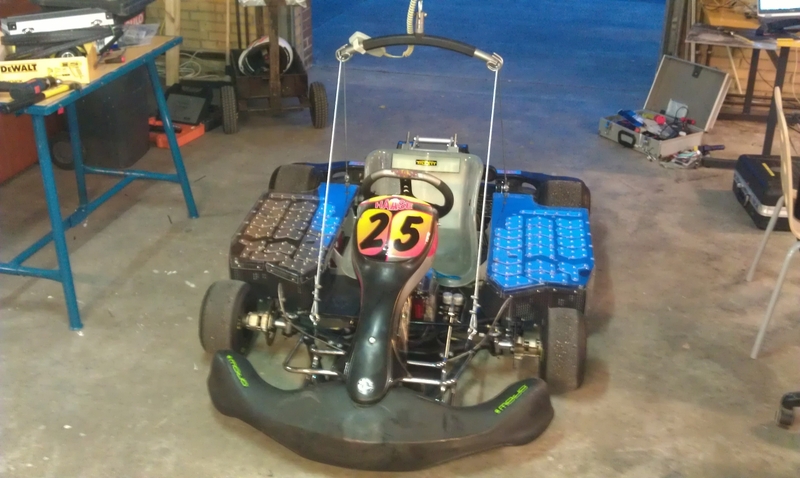 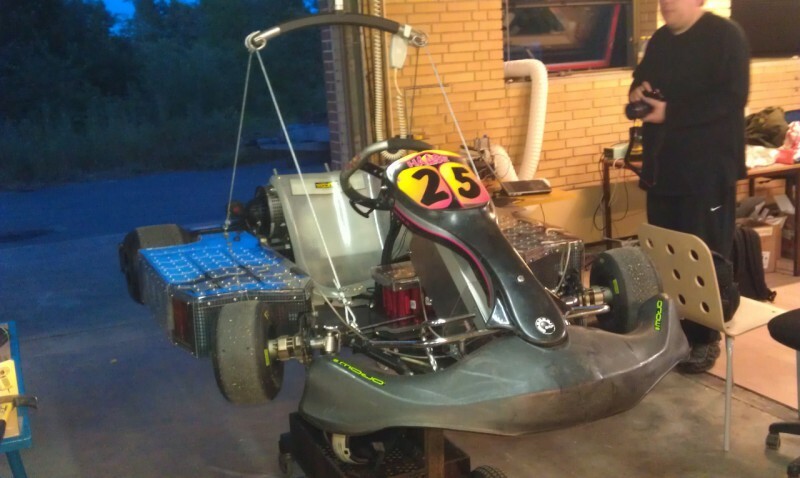 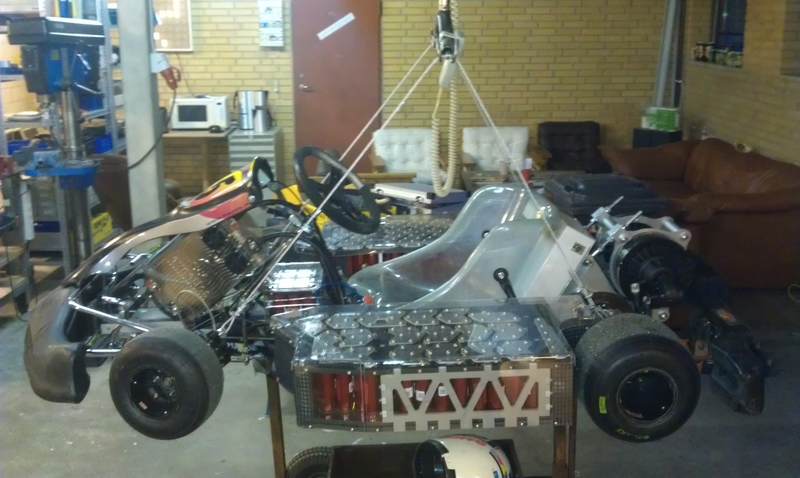 The electric GoKart weights about 215kg, and are too heavy the handle with raw manpower. 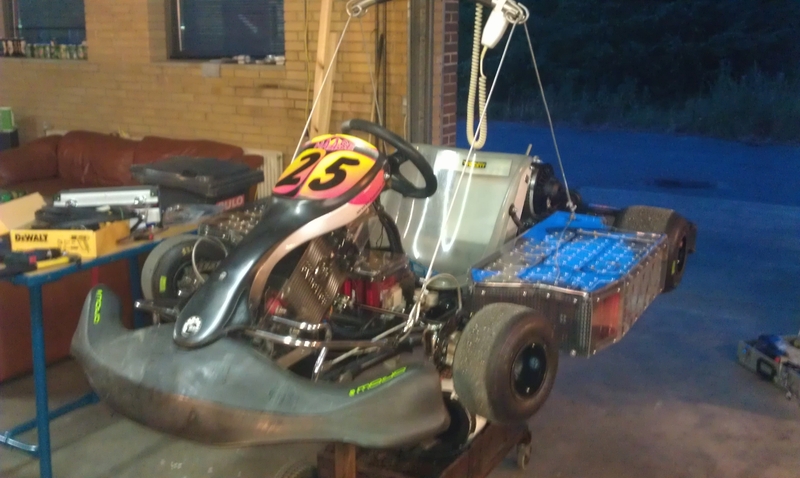 We got our hands on a lift, used to move disabled people. 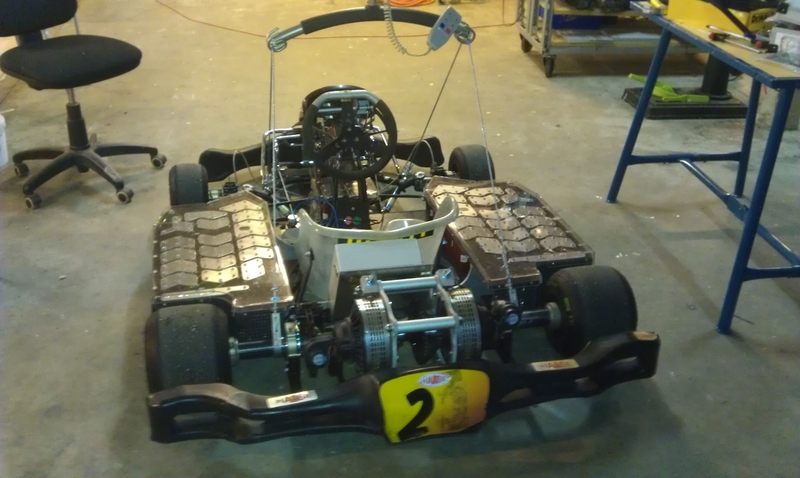 The lift is rated to 200kg and needs 24VDC. 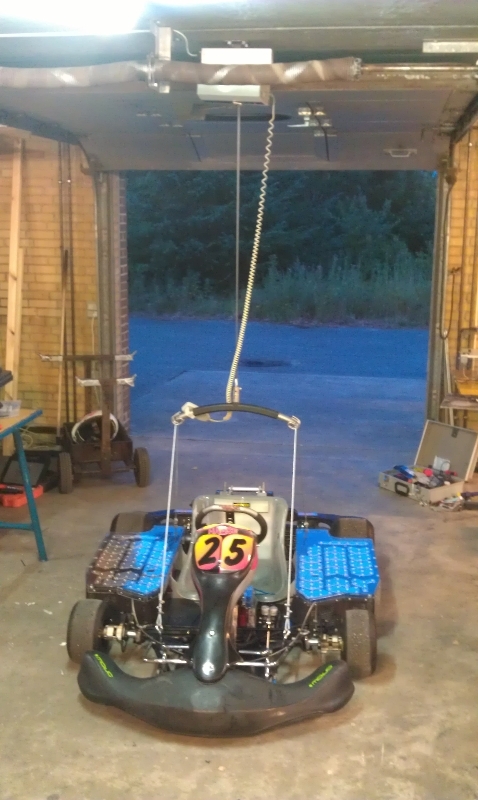 We made to steel wires with hooks in each end to make a stable handle. 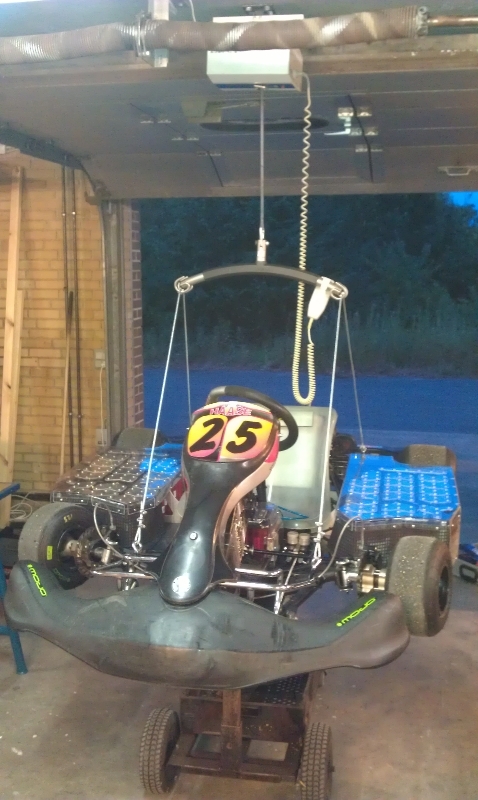 The GoKart lift is mounted to the concrete roof in the workshop.